It’s easy to stroll through the woodland at Pan Mill Meadows and feel like it has been there for centuries, or to cycle along the river believing it has pretty much always been there. In reality the landscape you see now is very new; the site has undergone massive changes over the last few hundred years. The River Medina is one of the key reasons people love this site – but it hasn’t always been where it is now! As well as the slow natural changes it has had its course altered several times by humans and has only followed its current course since the early 1970s. The changes can be traced through the history of the site over the last 150 years or more. The river at Shide has been used to power numerous mills over the centuries. A history of mills in the area can be traced back to the Doomesday Book in 1086. Lower Shide Mill used to stand where the main road to Newport runs, just next to the Shide Meadows Centre to the south of the nature reserve. A mill pond covered what is now the main road along the side of National Tyres. A mill leet took the water away from the mill, running diagonally across what is now the grazing meadow. The mill was demolished in the 1980s and no trace of the mill or mill leet can now be seen, though it may explain some of the wetter areas of the grazing meadow. Click on the map above to view historic maps of the area which show how it used to look. 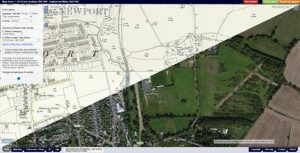 In 1875 a new railway line was opened connecting Newport and Sandown. The railway ran right through what is now Pan Mill Meadows nature reserve. As well as the main line there was a spur to Shide Chalk Pit and another to Lower Shide Mill. Much of what is now the grazing meadow would have been occupied by the railway. With the coming of the railway came significant re-engineering of the river, as its course was straightened and altered to accommodate the new line. The railway closed in 1956. Our railway heritage page highlights the evidence you can still see on site. Flooding in Newport was an ongoing problem and in the 1960s works were started to extensively modify the river to try and combat this. A series of weirs were installed, the channel was straightened further and placed in a concrete channel in various places. People trying to trace the course of the old railway line often struggle to work out where the line went through the site – hindered by the fact that the River was diverted onto the former railway alignment around 1974. From the road bridge at Shide to the narrowest point of Shide Mill Meadows the river flows along the line of the former railway. In the northern half of the site you’ll find a channel running parallel with the river. This looks like a mill leet, running to Pan Mill, but it doesn’t feature on any old maps, and Pan Mill had a mill pond (where the Matalan car park is now). It was actually installed around 1971, when the course of the river was modified, in order to maintain a water supply to the mill. We suspect it is one of the newest mill leets in the country! 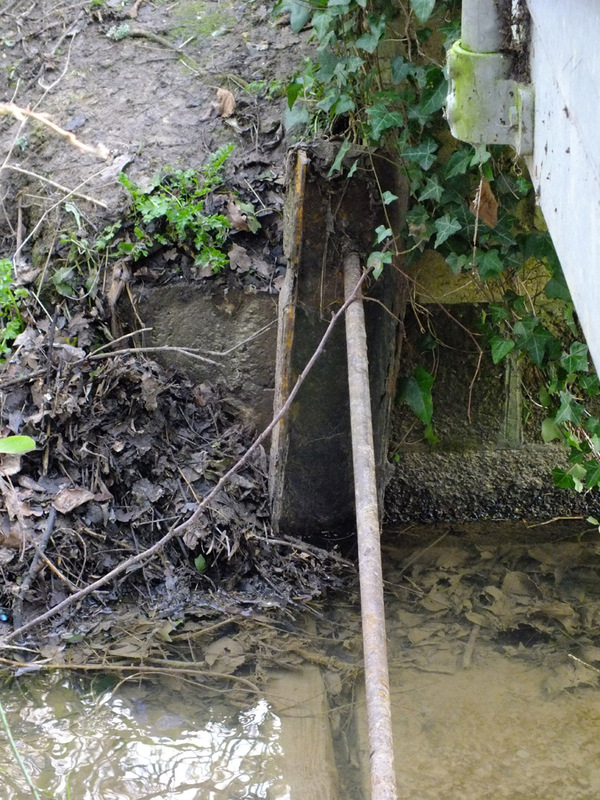 You can see evidence of a sluice just under the cycle track bridge by the junction of the leet and the main river and there are grooves to drop a board in to the top of the nearby weir to raise the river level and divert water down the leet. The woodland at Pan Mill Meadows is relatively new, as marshland started to give way to woodland around 100 years ago. It now forms part of a mosaic of habitats across the nature reserve. Left unchecked the woodland would gradually take over the meadow area, but careful management allows the different types of habitat to be retained, benefiting a range of wildlife and making the site more interesting and diverse for visitors.